Where some seek the comfortable way, few are drawn towards the unbeaten. They are the ones who disrupt the status-quo, and challenge the unchallenged. All they need is an open road and a will to push through anything that comes their way. 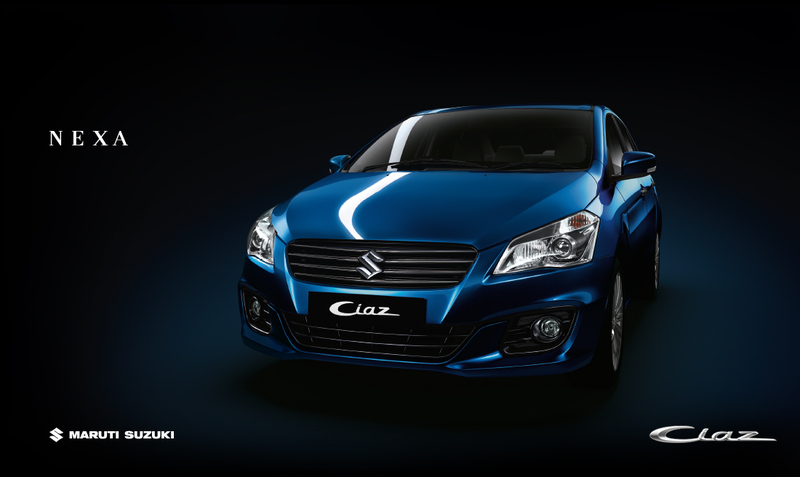 For them, Ciaz is the perfect sedan as they travel to places unknown and prepare for what lies ahead. What about you? The world is yours for the taking, what will you challenge? 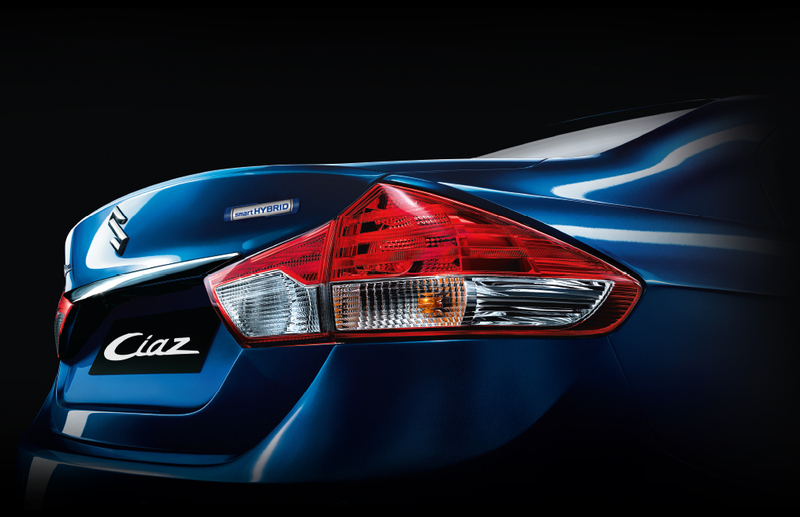 A bold stance and elegant curves are what make Ciaz stand apart from the crowd. 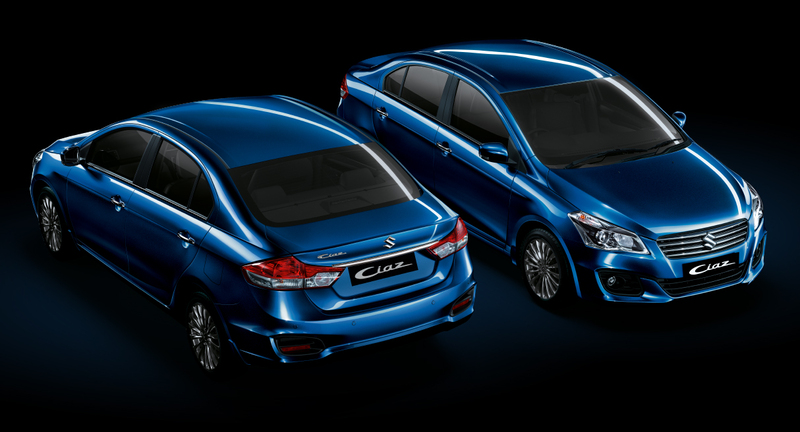 With finely crafted elements and an expansive body, it blends sophistication with a design philosophy that is bold and unparalleled, challenging the norms of what it means to be a sedan. Just sit back, calm your mind and prepare for whatever comes your way. 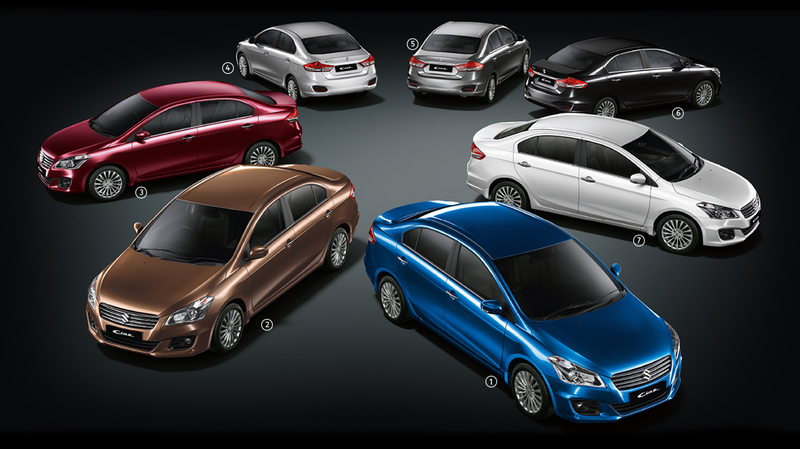 With a sense of luxury and an ergonomically designed cabin, Ciaz lets nothing stand between you and your leisure. 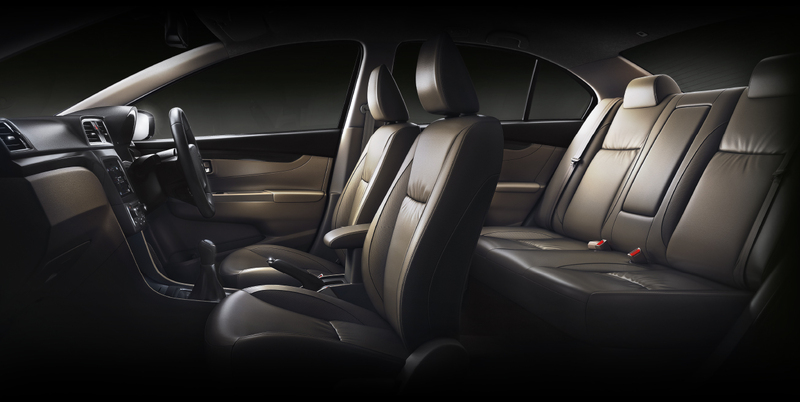 With ample legroom, headroom and shoulder room, at both front and rear, the seats indulge both the driver and passengers with unmatched relaxation. This is how you truly indulge as you set out to seek new horizons. Feel the power of the DDiS 200 diesel engine with Variable Geometry Turbocharger as it takes you towards new destinations. Paired with an Integrated Starter Generator (ISG), it helps improve fuel-efficiency by supplementing the engine’s power and enables acceleration. Now there is no stopping you. The advanced technology of the K14B VVT engine delivers a dynamic performance along with great fuel-efficiency. It incorporates a new Cylinder Head and Piston Design for better efficiency and the VVT system optimises intake valve timing for better performance, giving you the power to drive towards any challenge. It takes something extraordinary to stand out in the crowd and overcome any hurdle. Enter the Smart Hybrid Technology. 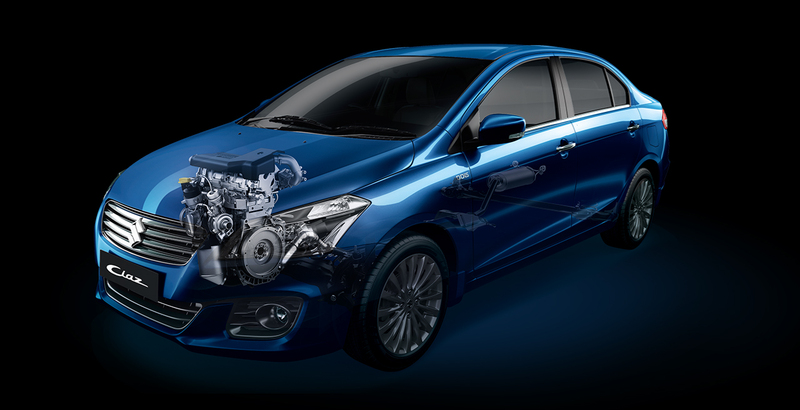 This revolutionary technology by Maruti Suzuki pairs the power of DDiS 200 diesel engine with an Integrated Starter Generator (ISG), whose motor function improves fuel-efficiency by supplementing the engines power. 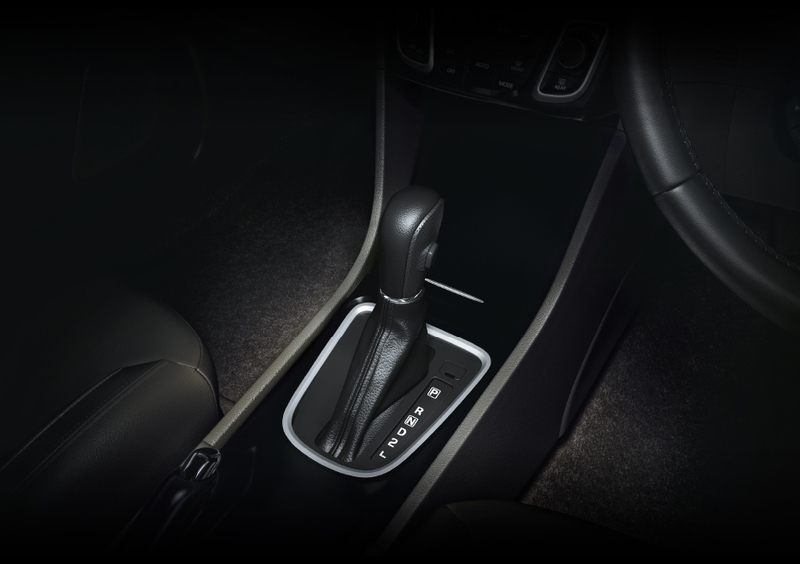 The engine automatically stops when idle and silently starts when the clutch is pressed, increasing the fuel-efficiency. 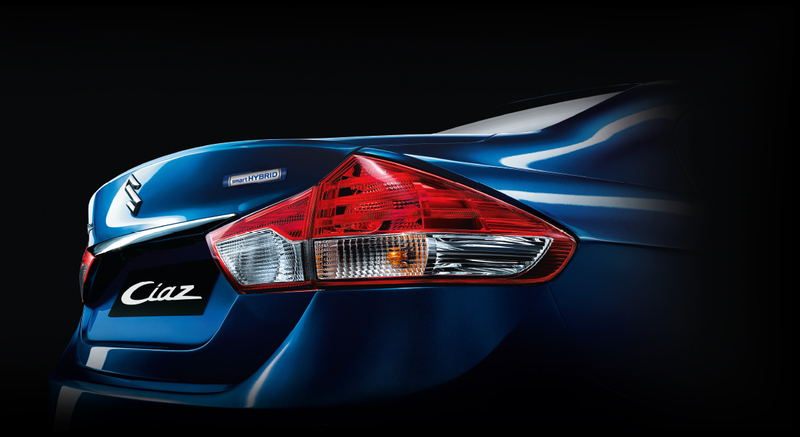 Braking charges the special high capacity battery, which in return assists the engine’s idle stop start function. 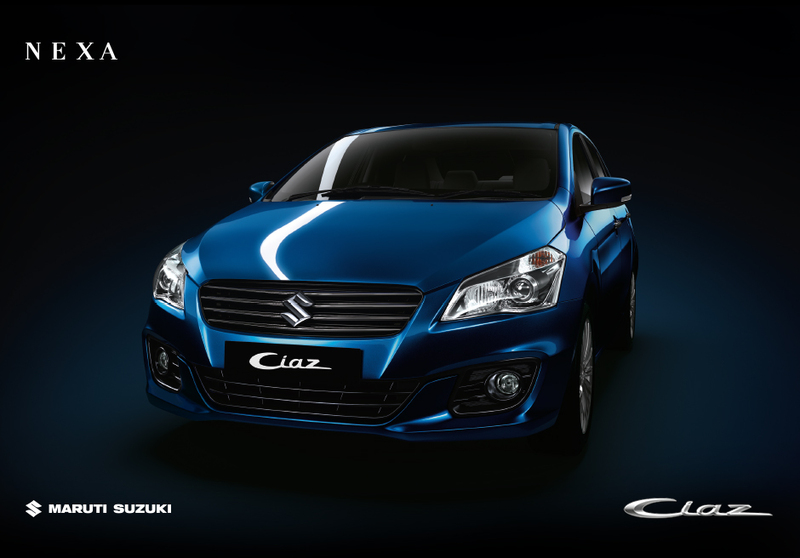 Whether you’re taking on the open roads, or carving through the city streets, shifting gears is easy when you drive the Ciaz. 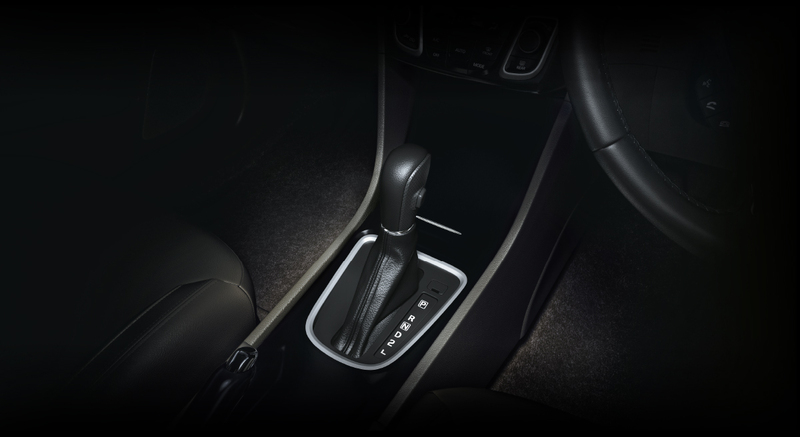 Both the Manual and Automatic transmission have been designed for effortless comfort while driving. Optimised gear ratios and smooth shift mechanisms not only enhance driving dynamics, but also ensure fuel-efficiency. So, go forth and go places. Take all your entertainment along on every journey. 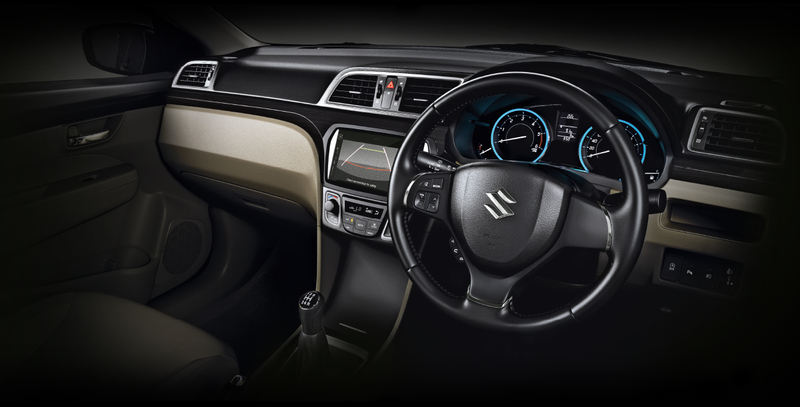 With the SmartPlay Infotainment System, you get a seamless smartphone experience. 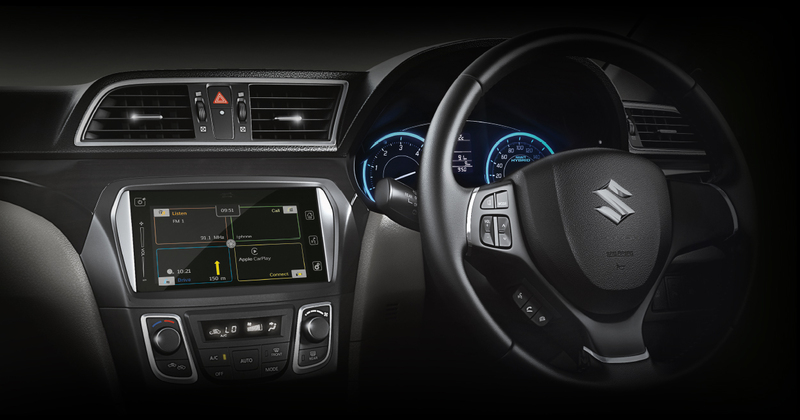 Appointed with Apple CarPlay® and MirrorLink®, it lets you smoothly enjoy the features of your smartphone. So, relax with your favourite tunes and stay connected everywhere as you take to unexplored roads. *Apple CarPlay is a trademark of Apple Inc. Apple CarPlay is available in the countries listed in the following link: http://www.apple.com/ios/feature-availability/#applecarplay-applecarplay. 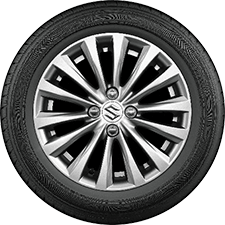 NEXA Safety Shield, a collection of advanced features from Maruti Suzuki that adheres to the highest safety standards, is designed to keep you safe in various situations, and prepare for the challenges ahead. So, whenever you take to the open roads, your safety is always assured. 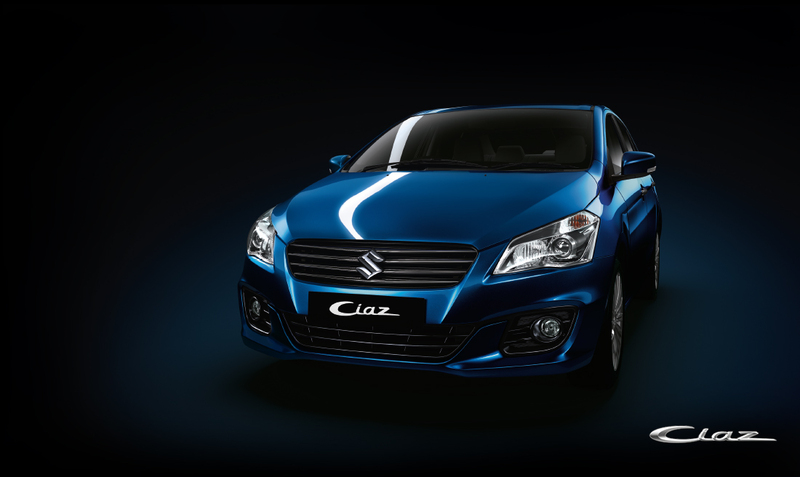 The Ciaz is loaded with features to make it truly a space where you can relax. 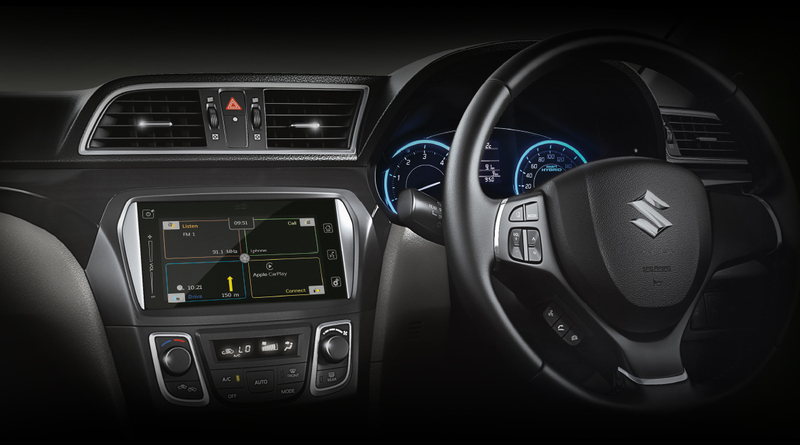 The interiors are intuitively designed keeping in mind comfort and utility, with features like reverse parking sensor, automatic air conditioner, multi-information LCD screen and a push start button. The door bottle holders, an overhead console with sunglass holder, illuminated console box and front armrest utility box, all combine to give you space options for any need. Features shown may vary from variant to variant. Car's headlights have been enhanced as per the ambience. Car colour may vary due to printing on paper. Images are used for illustration purposes. Appearance of black glass is due to lighting effect. 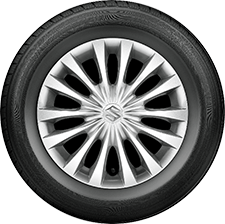 Maruti Suzuki India Limited reserves the right to change, without notice, price, colours, equipment specifications, and models and also to discontinue models and/or replace any part or accessory with any other product. 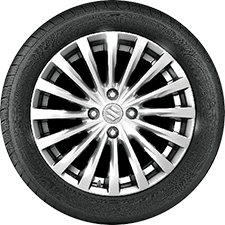 Accessory and feature shown in the pictures may not be a part of standard equipment and will differ according to the variant. Any offers made will be subject to availability of the product. For more details, contact your nearest NEXA.